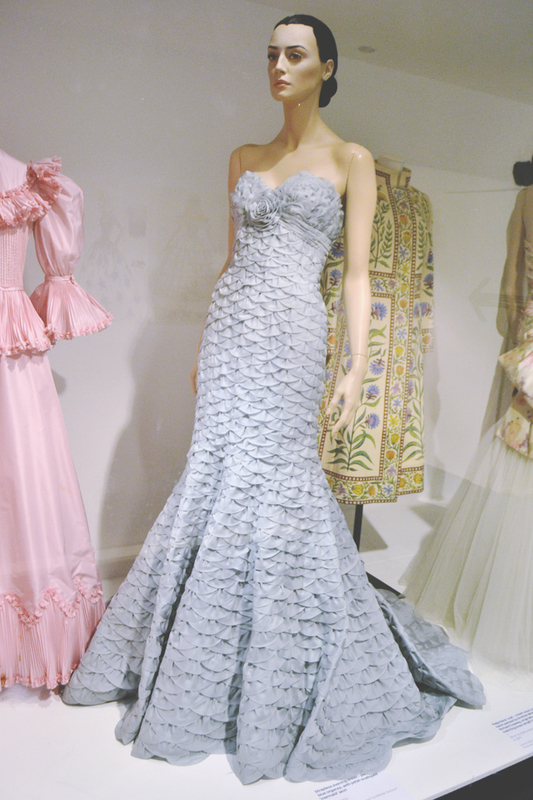 I've wanted to visit the Bath Fashion Museum ever since I heard about the 50 Fabulous Frocks exhibition. Unfortunately, I didn't get to visit in time to see it, but I was still very excited about the opportunity to gaze at beautiful clothes. 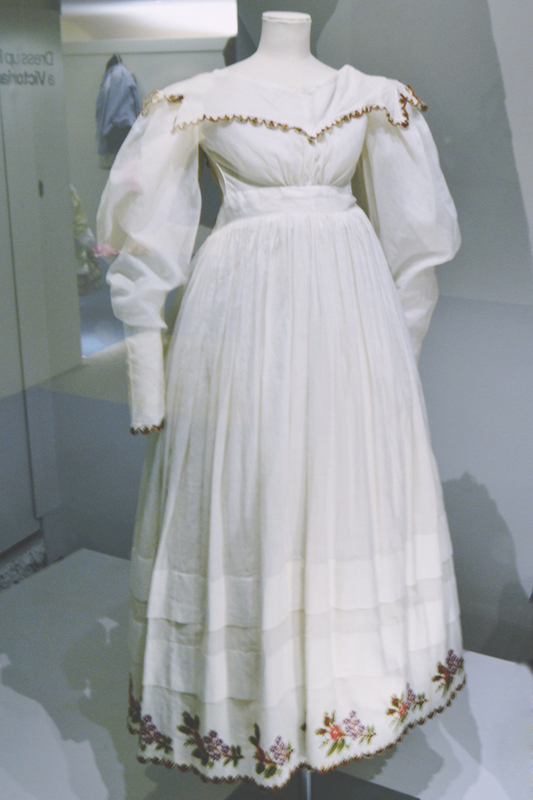 The museum opens with a display of beautiful Georgian dresses. Free audioguides are provided, so I could hear all about the history of the stunning woven silks. The Georgian collection is arranged chronologically so you can see how the fashion progressed over the decades, ending with the less structured styling of the Jane Austen years. 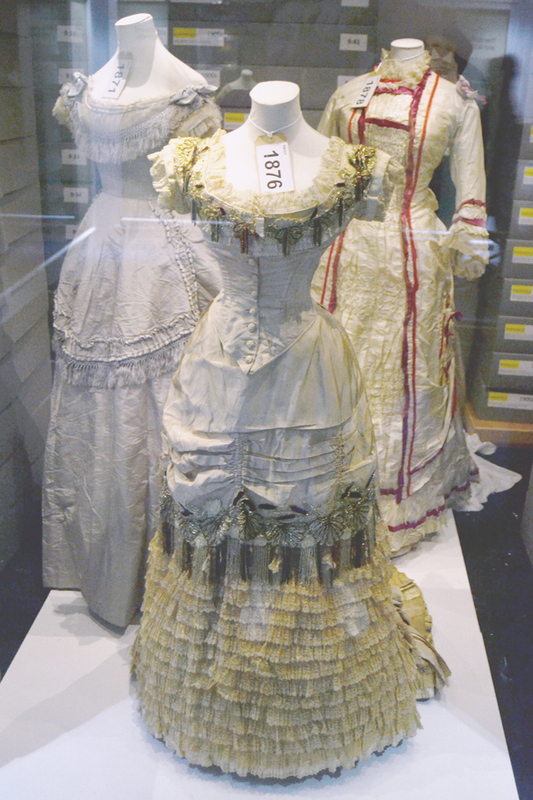 After the Georgian exhibits, there's a small area to dress up like a Victorian. Yay! 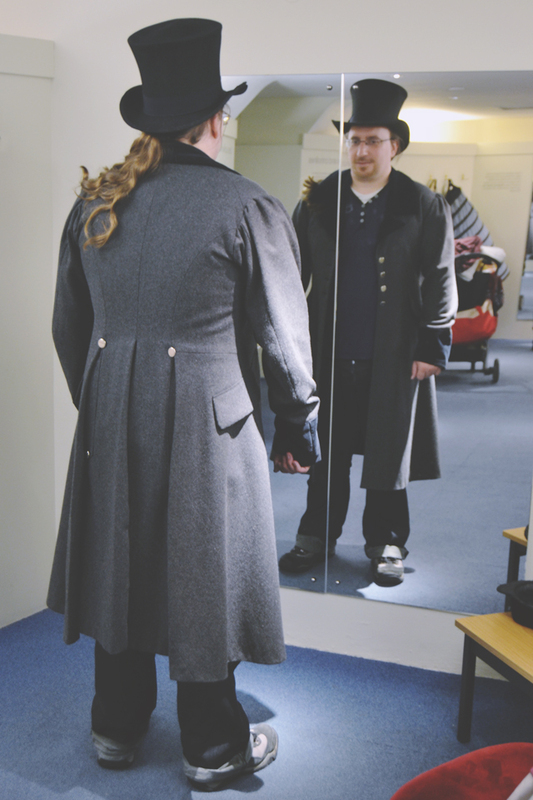 I talked Rich into trying a Victorian frock coat and top hat! I think it suits him! 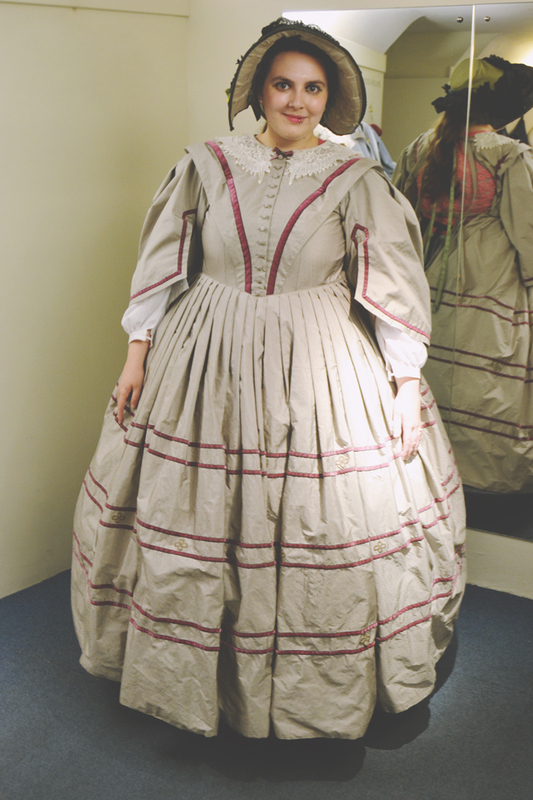 After spending some time dressing up, I explored the next room, which was my favourite. 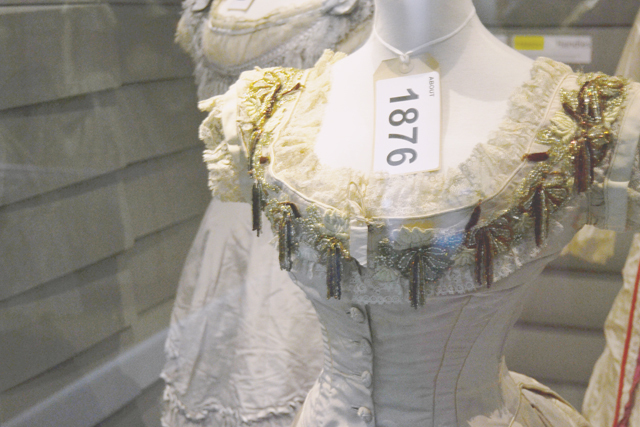 The museum have made a display of the archives, with selected dresses showing the evolution of fashion throughout the Victorian and Edwardian eras. 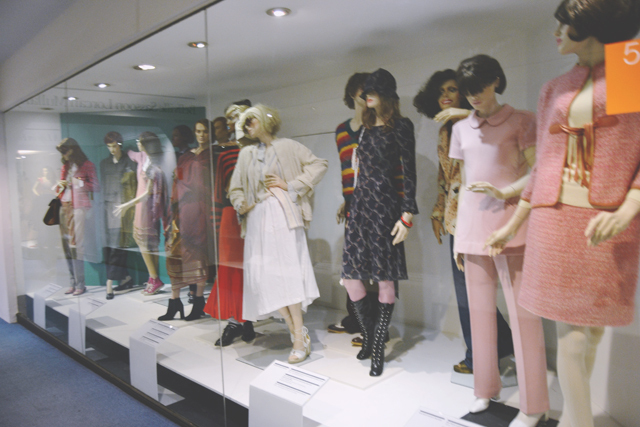 The boxes behind the mannequins are the archive boxes for exhibits in storage. You can actually make an appointment to view the exhibits personally, and anyone can access the service. I'll definitely have to take advantage of that next time I'm in Bath! 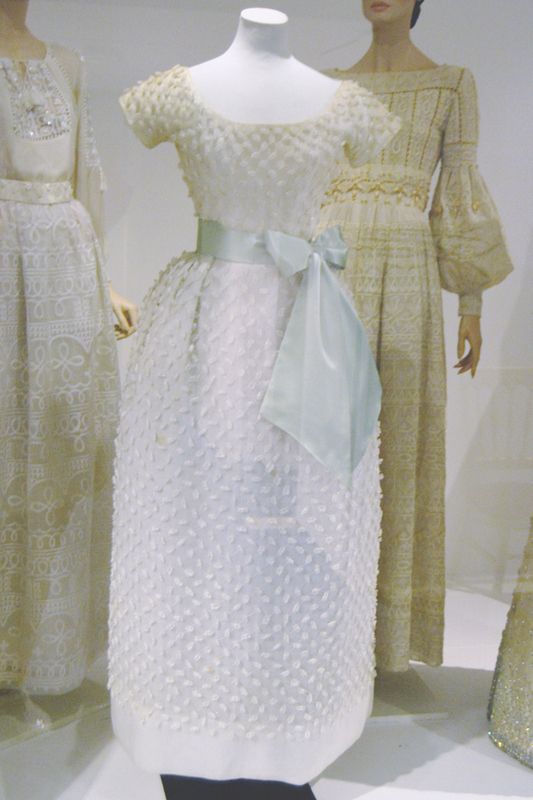 I loved these two cases, featuring examples of daywear from the 1920s to modern day. 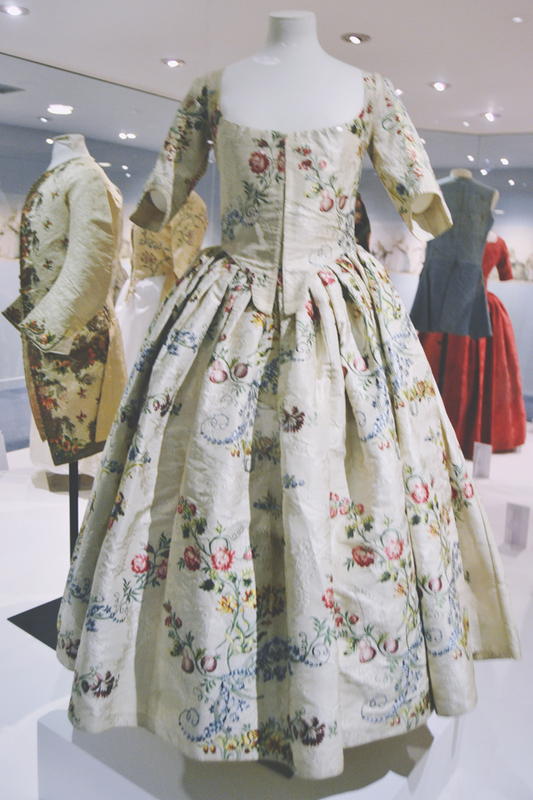 The curators had styled each woman as an ordinary girl would have looked in that era, so they weren't all wearing brand new items. 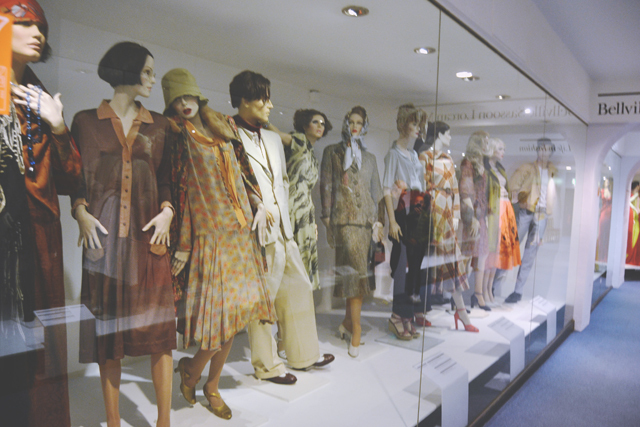 For example, the wartime models were wearing clothes from the 20s and the modern girl was wearing a 1991 jacket. I appreciated this, as I think a lot of period stylists fall into the trap of dressing people in items strictly from one era. 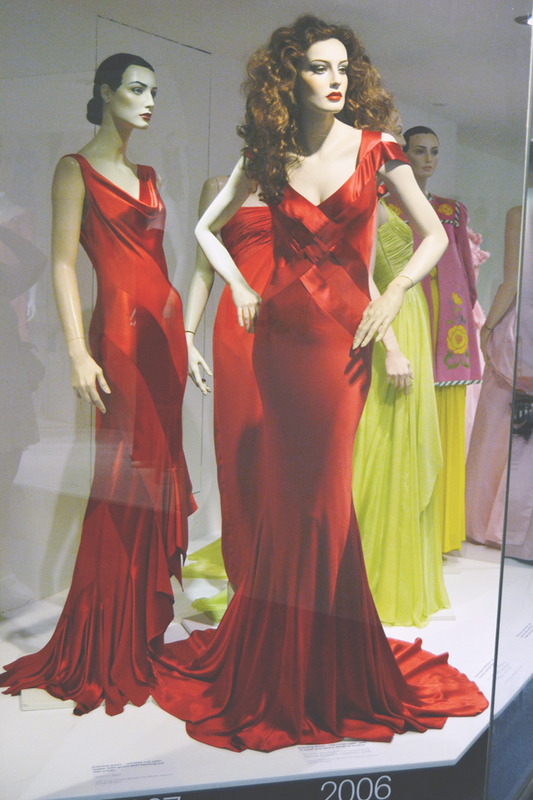 The Bellville Sassoon exhibition was one of my favourites, showcasing beautiful dresses from the 1960s up to 2011. 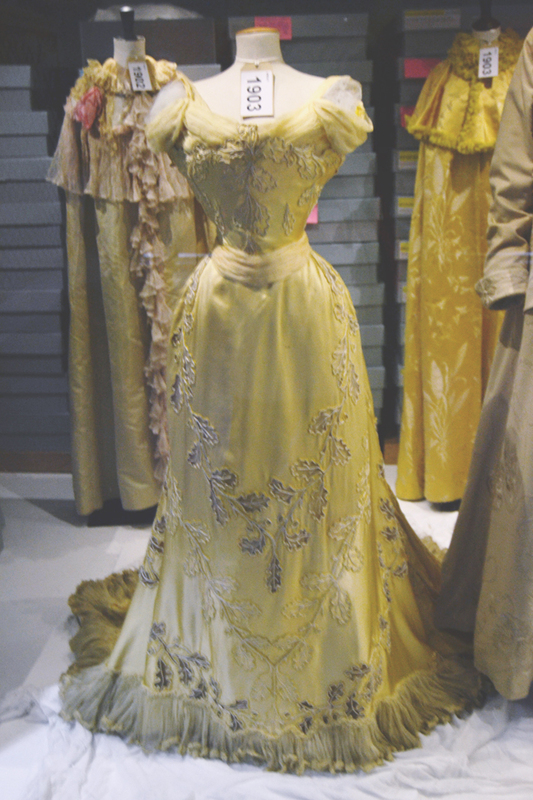 The final section of the museum was the Dress of the Year exhibit. Every year since 1963, a fashion insider has selected one outfit from the past year to be named Dress of the Year. This year, Susie Bubble chose Christopher Kane's duct tape dress. 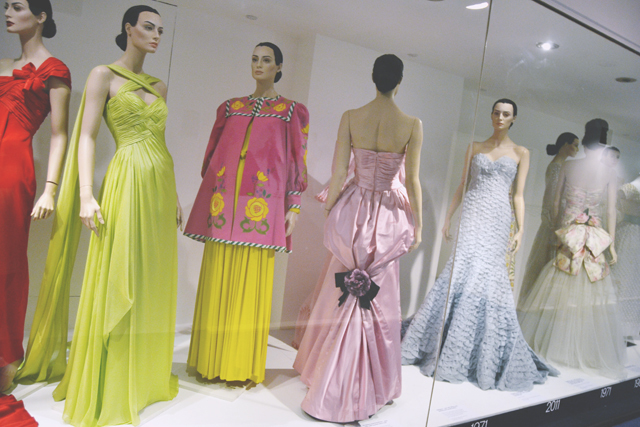 A display case alongside the current Dress of the Year showcases a selection of previously chosen dresses, including the previous year's choice. 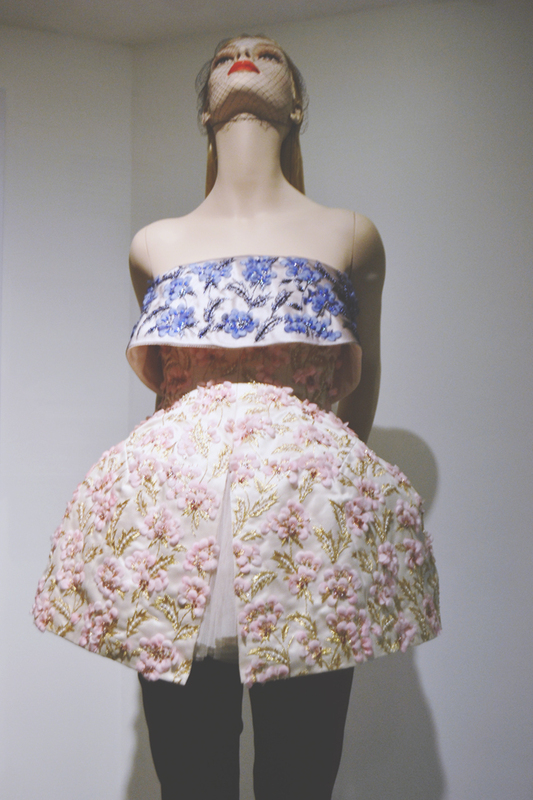 2012's dress of the year was Raf Simon's Dior bustier and mini-crinoline. It's so beautiful and intricate! 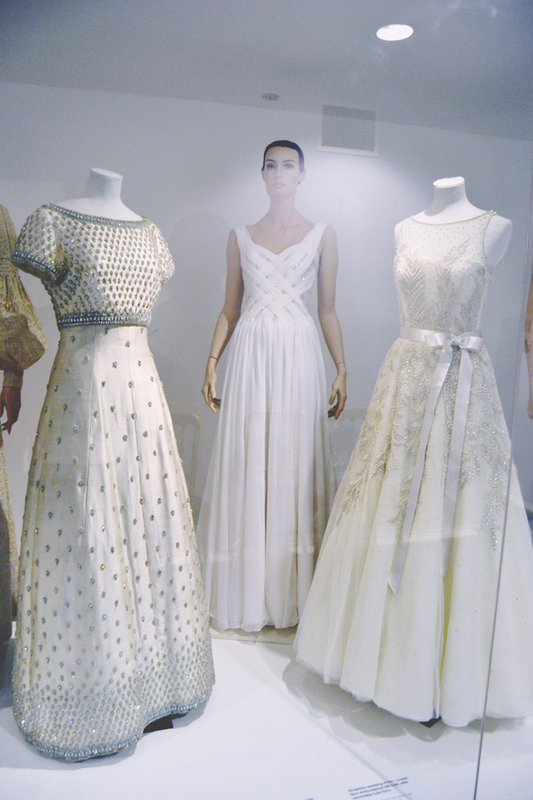 It was so much fun to take in all the beautiful fashion, both antique, vintage and modern. I recommend it to anyone who has an interest in fashion, and I'll be keeping my eyes peeled for future exhibitions to visit. Haha if it weren't for the internet, I'd have no idea about it! Wow, those red dresses! And all the white and cream! I love that museum so much, I would love to be able to work there one day. 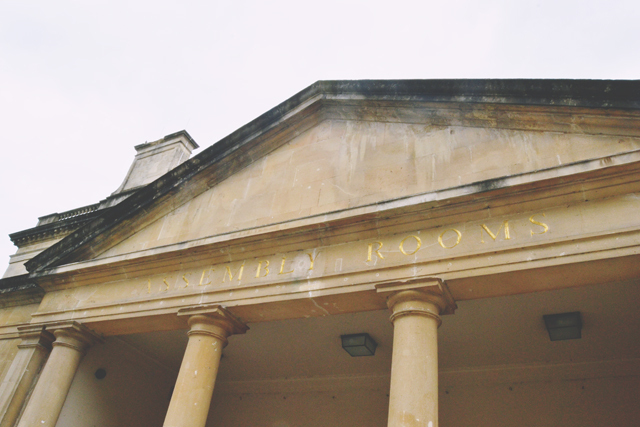 I'm from Canada but my family visited London a few years ago and a trip to Bath and that museum was a must see for us. I'm glad you had a good visit. You should go more often since you live so close! It would be amazing to work there. It's funny because, to me, I don't live nearby at all but of course that changes when I consider you're in Canada! Oh My! I have to go here one day! 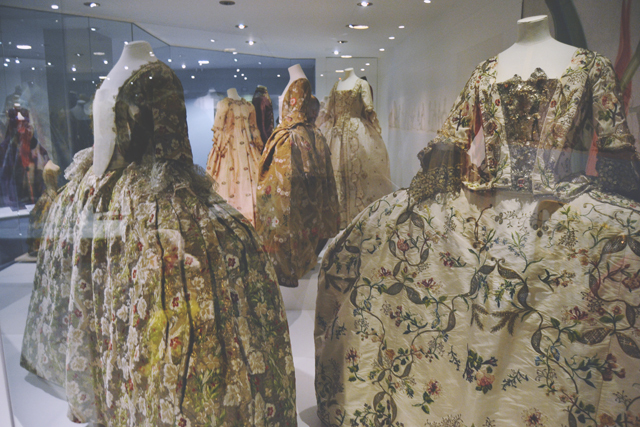 The fashion museum is far and away the best museum I have ever visited. They have such beautiful exhibits! 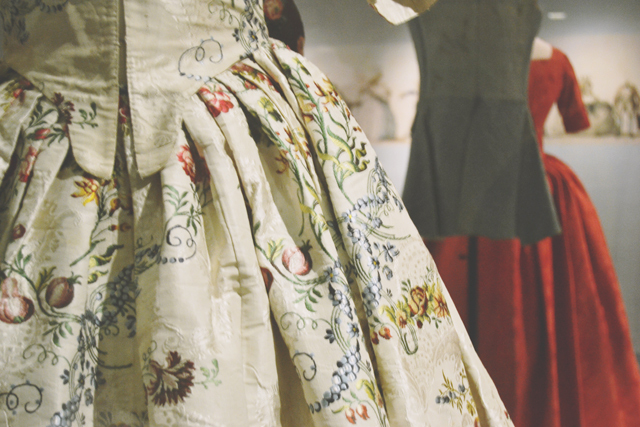 I think sometimes people forget that proper fashion is art and you get a really strong feeling of remembering that here! Yes! Fashion really is art! 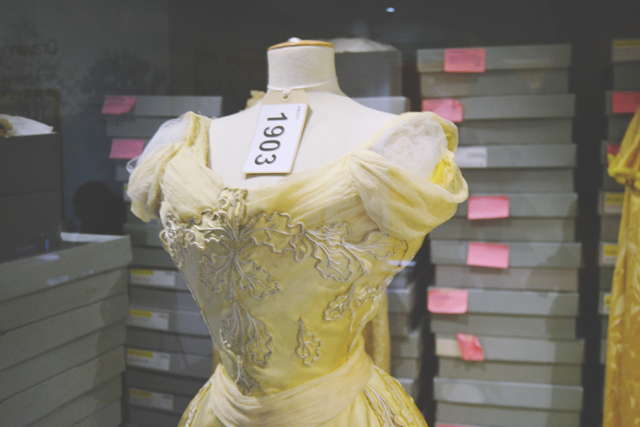 I visited the museum when I did my GCSE Textiles, and got to look at (and handle) some of the archives - it was amazing and I would love to go back some time! Oh wow! I bet that was incredible!